Saving on Fuel spends is one of the toughest thing to accomplish for quite sometime. This is because Fuel business runs on low margin and hence Credit card companies cannot provide offers beyond a certain limit, say 2% or so. In-fact, most of the credit cards these days donot provide Reward points on Fuel spends as they already absorb the 2.5% Fuel surcharge Waiver. As you can see its a super cool offer except one thing that waiting for 90+ days is so long. I tend to forget these reward points by that time. This is one of the trick that some companies play with. They simply don’t credit it unless you ask. So all you need is a credit card from HDFC, preferably a premium card which will give a lot of reward points, eventually saving upto 16.5% in value. Lets see how much you can earn on major HDFC cards. Click on the links below to see the complete review with usual reward rate on non-fuel spends. The 5X Rewards is a massive offer especially for premium HDFC Credit card holders like Infinia or Diners Black with which you can save upto 16.5%. Spending 1 Lakh on Fuel and getting Rs.16,500 back even as Reward points is still a cool thing. Isnt it? 🙂 Ofcourse, you can redeem the points for flights, movies, recharges etc. I’m gonna swipe my Diners Black for all fuel expenses in coming days to see how things turn out. How about you? Are you gonna make use of this 5X Reward points offer or stay with 3% Amex Direct Cashback offer on Fuel? Feel free to share your thoughts in comments below. Don’t think 2X and 5X offers can be combined. And thanks for nudging on HDFC promo bonus lapses. Need to check if 1L I spent at MMT got me 5X. 1. I had seen this 2X weekend offer worked in parallel with 2X Intl spends offer. So technically it has to work on this too. Lets see. Oh wow. Difficult to make out since they don’t give points breakup in statement & you have to ask for it. I really wish they did though, it’s not that difficult. Think they purposely avoid giving it. Tried BM already. Followed up a few times. Wasn’t helpful. There’s is some incentive misalignment from what I can make out. Gonna shift branch next month. I talked to the HDFC customer service team & they mentioned that this offer is valid only for swiping the card for 5 times during the offer period. So try to do transactions worth Rs. 5000 for 5 times. Can anybody else confirm this? Txn amount is correct. But 5 times offer is different one. You can re-confirm by checking their offer page. 5 Times thing is not mentioned anywhere. I also got an email reply from HDFC- “offer valid for 5 times only” was my misunderstanding. most of the premium cards dont give points for fuel. please do confirm if regalia diners is actually giving you 5times points. Yes, but this is an offer for BPCL alone and they haven’t mentioned any cards that are not eligible. I couldn’t verify it now as it would take about 90 Days for the Bonus points to kick in. well its mentioned “Reward & Redemption” section of Diners Black website for HDFC, that rewards points will not be accumulated for fuel transactions, So wont it be 0 points* 5 = 0 points … do confirm from bank or it will be a huge let down after 90 days. Yes, it is. But this promotion is an exception i suppose, else they will mention the cards not allowed in the promo page. Got a card statement from regalia with 5 times offer mentioned at bpcl. but diners statement doesnt mention it. Hi, where do u see an option for 5x points promo. Just got my hands on the dinners black card. Well I have a lot to learn through. Still figuring out the website and stuff. Any help is highly appreciated. Does this offer still available? I don’t see any promo regarding this in my monthly statement. Yes, it is live until march 2017. Can i able to redeem the rewards point against fuel purchase(like Citi Bank Indian Oil card) or converted as cash back??? If yes for cash back how many reward point needed and value for each reward point ? 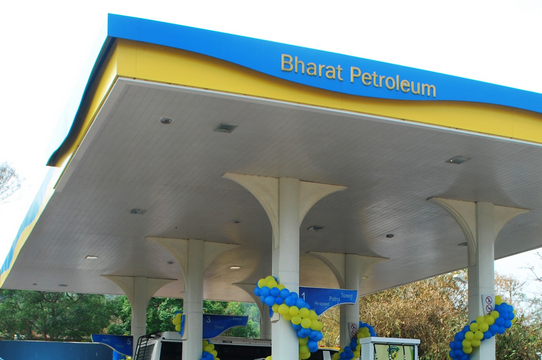 Siddharth – Are you sure that BPCL 5X promotion is still on? I do not see it in the credit cards offer page nor in the HDFC 5X promotion banner page. Looks like they have stopped the offer. (Please note that you can still find the BPCL 5X page if you search on google, but the credit card offers page has removed it). Yes, they’re not displaying on website but the offer page is still there which says the offer ends on March 31st 2017. I spend around 80k to 100k a month on my icici rubyx card which gives us some payback points. Can you advise the best card to use for fuel which gives us rewards/ cashback, plus the fuel surcharge waiver.